Business collaboration can’t happen without communication, and there are several new tools to know about if you want to foster and/or increase collaboration in your organization. We can’t totally fix all meeting issues with technology, but we can make meetings more effective with a number of tools... which is pretty dang close. To do this, it's important to make communication methods smarter, more efficient and more unified through Unified Communications as a Service (UCaaS). One reason meetings get off track and end up unproductive is because, often, not all the right people are in the room. For whatever reason, these people (who might even be the decision makers) can’t make it to the meeting. They may be in another meeting, on the road or even on vacation. 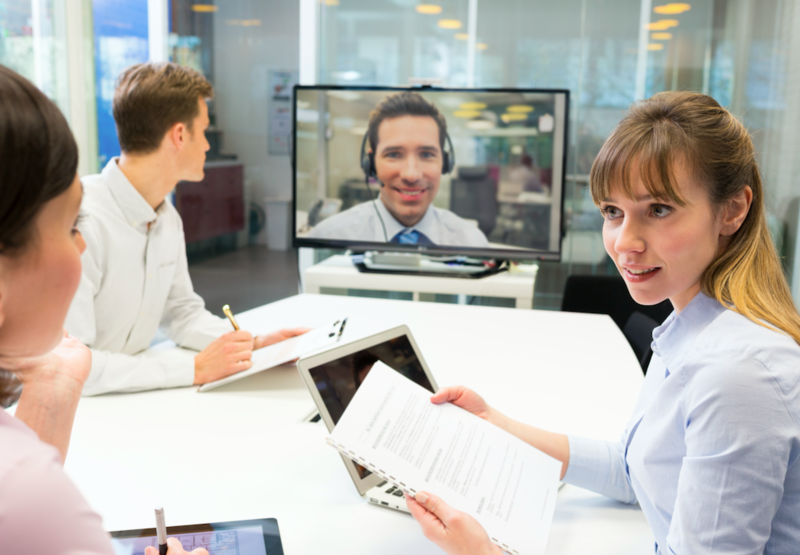 Increasingly, the tools to get those people in the room via conference call or video conference are getting better and easier to use. For example, with the emergence of mobile devices and communication tools, you can be part of conferencing anytime, anywhere. Using powerful new tools, like unified communications, you can make sure more of the right people attend your meetings allowing you to get work done, decisions made and action items initiated. You have a question about a blueprint, and you use your instant message system to contact Cindy - the engineer on that project. Cindy answers but she needs more context, so you do a screenshare of the blueprint allowing her to see exactly what you are talking about. Together, you work through it, but she wants John's input - he's the project manager. John connects via video, looks at the blueprint and clarifies two other areas that will be affected by the change. To show you a couple of fixes, he can be given control of the screen and mouse. Finally, he brings in Ben from Finance to see if the changes will have any effect on the cost of the project. All of a sudden, what started as a phone call became a working session that may have only lasted ten minutes but may have advanced the project to near completion. This is what we mean by increasing (and streamlining) business collaboration. In my previous example, success depended on everyone being at their desk - or at least somewhere they could be reached. UCaaS not only helps you connect, but it also informs you of who is and isn't available through real-time dynamic presence. This means that when you look at your computer or mobile screen, you can tell who is available to answer a question, work through a problem or point you in the right direction. That sounds simple enough, but what if you took it a step further? What if real-time dynamic presence was really smart and could tell you even more about the availability of your coworkers? Well, it can. With UCaaS, you can tailor your dynamic presence to the way you want to interact and collaborate. For example, when you are on a phone call, you can set your preferences so you will accept instant messages but not video chats. If you are in a video chat, you can send all phone calls to voicemail. Each individual can customize their preferences, managing their availability for collaboration. If keeping track of all of the ways you want to collaborate seems like a chore, you can automate it. All of these systems can be set up to learn from each other, so when you hang up your phone, your dynamic presence can automatically show you as available. If the video chat ends, your incoming calls will be directed from your voicemail back to your regular phone. If you leave the office, your dynamic presence can also tap into the GPS on your mobile phone to let people know you are on the road. On the road, you can set up your availability so you only accept phone calls, not instant messages or video chats. These are just a few of the many ways you can unify your communication capabilities. Business collaboration is a smart way to work, but it depends on making communication easy and seamless. UCaaS can do that.